Going through a period of disliking much of what I have been doing, it occurred to me that in addition to simplifying color detail, maybe it would also be a good idea to simplify my palette of colors. 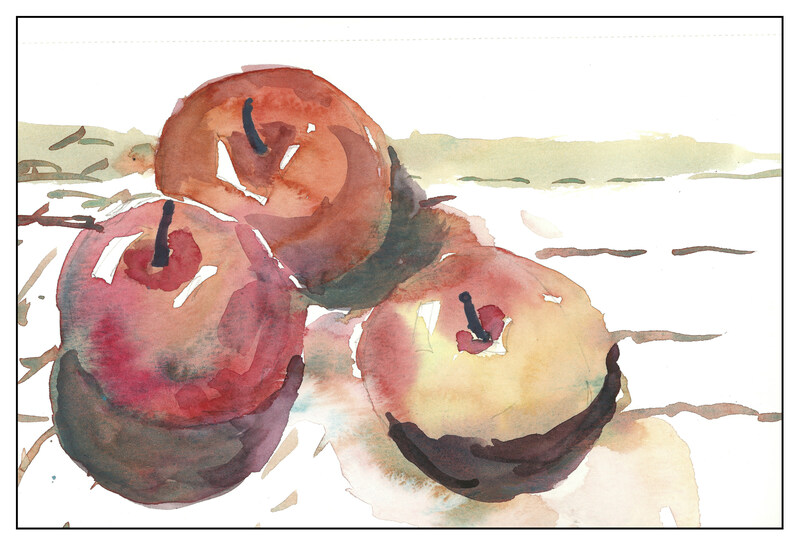 Here, apples in a primary triad of sorts: Quin Gold, Cobalt Teal, and Permanent Alizarin Crimson. I was quite surprised at how deep I could get the shadows using the alizarin and teal, as well as how delicate the pale shades could be. A bit overworked, too, but the lessons are sinking in if I am lucky!